A lot of my work is geometric and grows from ideas developed whilst making another pieces and my Icos Series is no exception. 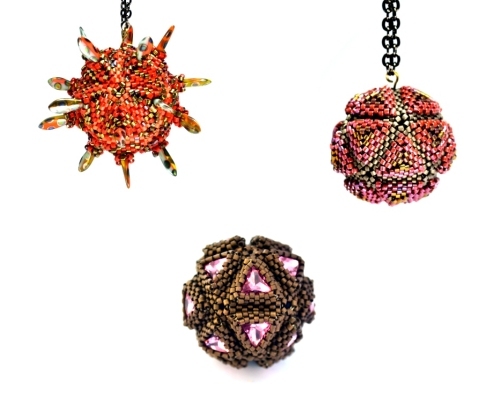 Created over a number of years using knowledge and experience gained from working on multiple other ideas this series of pendants are all based on the same motif and idea but are created in different sizes and scales and with different adornments. These pieces are taught in my Icos Pendants class.